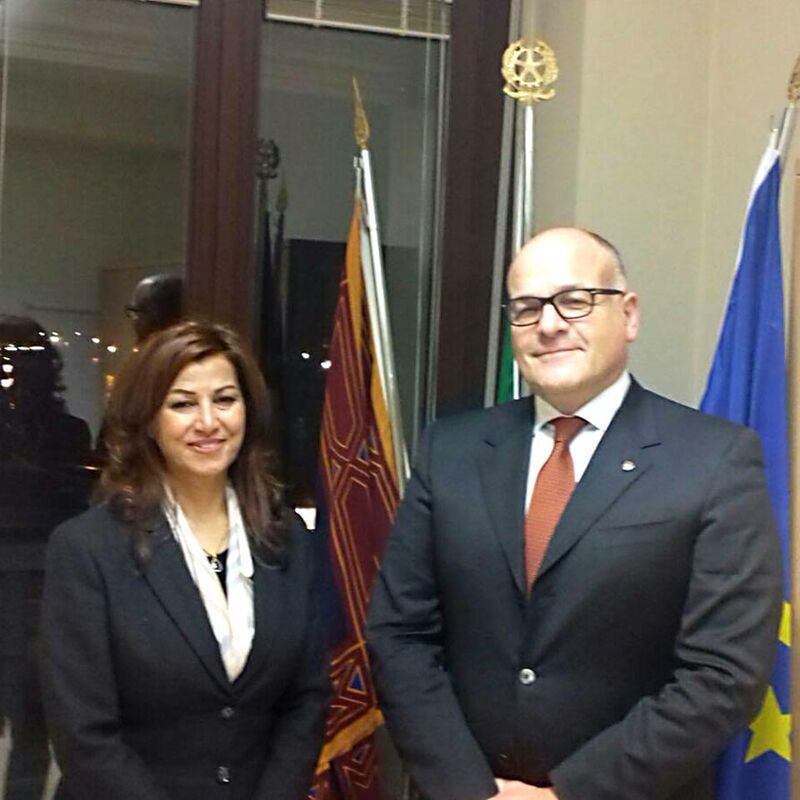 Today, Mrs. Kader was welcomed at the Headquarters of Veneto Region by the Director for International Relations, Communication and SISTAR, Dr. Diego Vecchiato. There exists between the Veneto Region and the Kurdistan Region of Iraq a relationship of friendship and mutual collaboration dating back in time, consecrated on 11 January 2011 in the Memorandum of Understanding signed by the President of the Region Luca Zaia and the Chief of Staff of the Kurdistan Presidency Dr. Fuad Hussein. Mrs. Kader updated Dr. Vecchiato on the current scenarios in the Region, the problems in relations with the Central Government and the future prospects. In a particularly delicate political, economic and humanitarian context, the support of historical friends is fundamental for the restoration of peace and stability in the area but also for the progress of the country. For this reason, the parties have shown a desire to intensify more and more the current relationship of mutual cooperation in areas of mutual interest, such as in the academic scientific, touristic and economic field, through the organization of on-site missions and exchanges of know-how.